All the available units can be fitted to Diesel and also petrol engines, in petrol engines they can be used in place of after marker catch cans, using this unit the breather system returns the oil carryover to the engine. Stops the build up of deposits in cam covers amongst other advantages. In a TDI application it would go between the Crankcase Breather and Turbo Inlet Pipe to catch any oil whist maintaining the closed breather system. This will reduce the amount of oil found in your Intercooler Pipework, Turbo Housing and TIP Pipe. In internal combustion engines, an oil-laden leakage gas known as the blow-by is produced in the crankcase. The blow-by must be returned during the combustion process, which is achieved by closed crankcase ventilation (CCV) systems. CCV systems also separate and return the oil to the crankcase and regulate pressure in the crankcase. With increasingly strict emissions legislation, the requirements for oil separation have increased continually over the past few years. Emissions-related engine components such as exhaust turbo chargers, charge air coolers and charge air sensors must be protected against performance degradation from oil contamination. 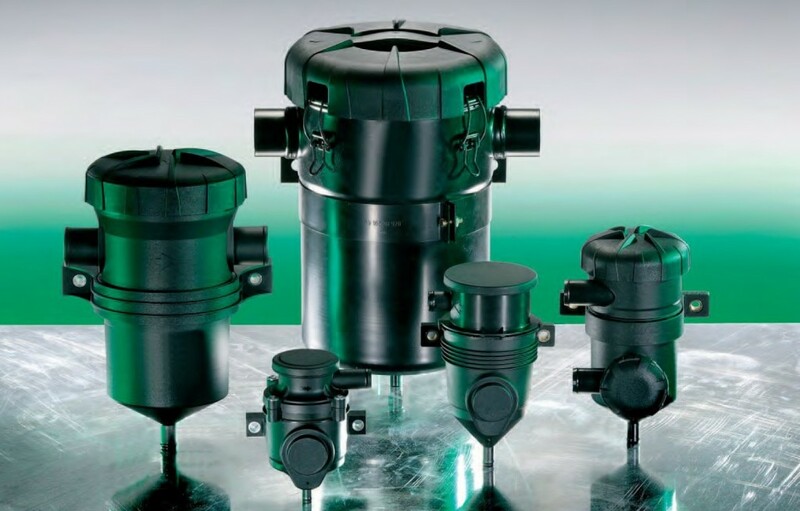 MANN+HUMMEL provides various designs for oil separation, ranging from inserted or non-inserted inertial separators, such as cyclonic or impactor separators, to the ProVent fibre separator for HGV and industrial use. The ProVent system integrates a powerful oil separator element and a pressure regulator element, both characterized by their robust and light-weight designs. ProVent protects the turbocharger and the downstream engine components from the build-up of oily deposits that diminish performance. This commercial concept is designed for industrial engines with a power of up to approx. 1250 kW and can cover volume flows of approx. 10 to 1000 liters per minute (l/min) blow-by. The series is complemented by safety valves that allow for multiple applications.